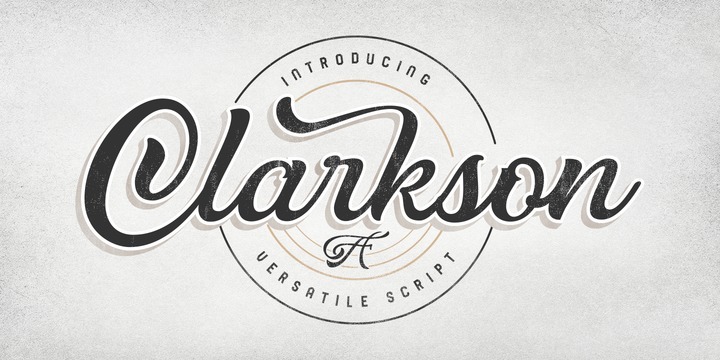 Clarkson Script is a versatile script created by Adam Fathoni Haris and published by Adam Fathony which is a mix between the style of a feminine script and a masculine script. It is a cursive, brush script which is characterized by alternate characters, initial & terminals, all caps, swash & calt. It is ideal for digital letterings, display, branding etc. Have fun! A font description published on Wednesday, January 31st, 2018 in Adam Fathoni Haris, Adam Fathony, Fonts by Alexandra that has 2,046 views.